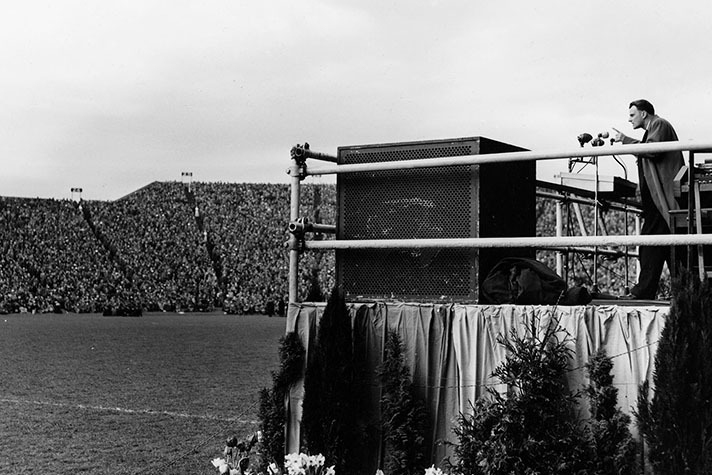 Billy Graham preaches at Hampden Stadium in Glasgow, Scotland, in 1955. Photos courtesy of Billy Graham Evangelistic Association. Bibles For The World joins with millions to mourn the passing of Rev. Billy Graham. BFTW founder Dr. Rochunga Pudaite met Rev. Graham in Glasgow in 1955 where the evangelist was preparing to hold crusades. 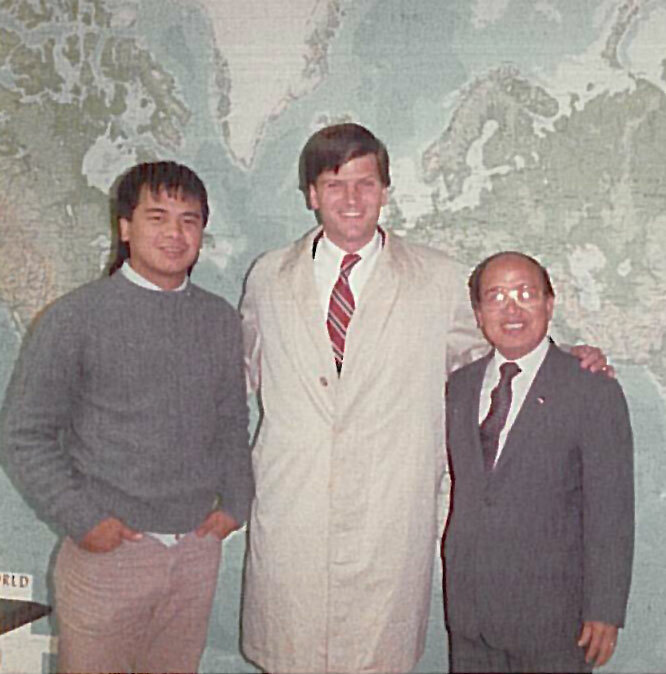 “Ro” was a young student at the Bible Training Institute in Glasgow and had volunteered to help promote the upcoming crusade by the American evangelist. Ro was surprised to receive phone call inviting him to meet Graham at his hotel. “I’ve heard reports from various prayer groups that your whole tribe back in India is praying for our crusade in Scotland,” said Graham. Ro was amazed at just how much was known about him and his people. He responded to Graham’s question with more of the story of his father’s conversion, the results of a lone missionary introducing him to a Gospel of John. Ro spoke of his fathers’s efforts to evangelize his tribe of headhunters and of his own quest to translate the Bible into his native Hmar language. Impressed with Ro’s enthusiasm for translating the Scriptures, Graham offered to sponsor the young man from India to pursue graduate studies at Wheaton College in Illinois. Accepting the generous offer, Ro was able to enroll at Wheaton in the fall of 1955. The “rest of the story” is available in Fire on the Hills – The Rochunga Pudaite Story a biography by Joe Musser and Marti Hefley. The relationship between the Graham family and the Pudaite family extended to the next generation, as well. Ro’s son, John, and Billy’s son Franklin, were acquaintances. Both sons eventually played significant roles in their fathers’ ministries with Franklin Graham eventually taking over the leadership of Samaritan’s Purse and John Pudaite’s appointment as president and CEO of Bibles For The World. 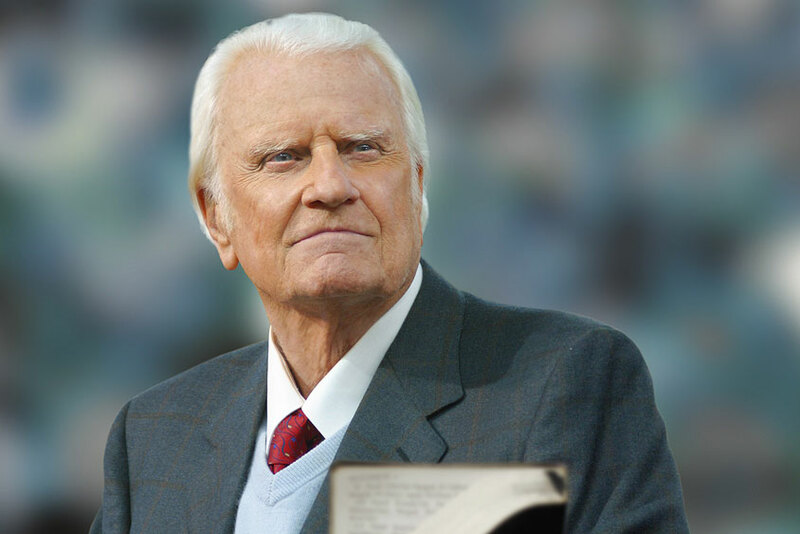 Until his death in 2015, Ro never forgot Billy Graham’s kindness and attributed much of his early ministry success to the example of the evangelist. What a tremendous impact Billy Graham made for God’s Kingdom in countless millions of lives that he influenced through his tireless work proclaiming the Gospel!